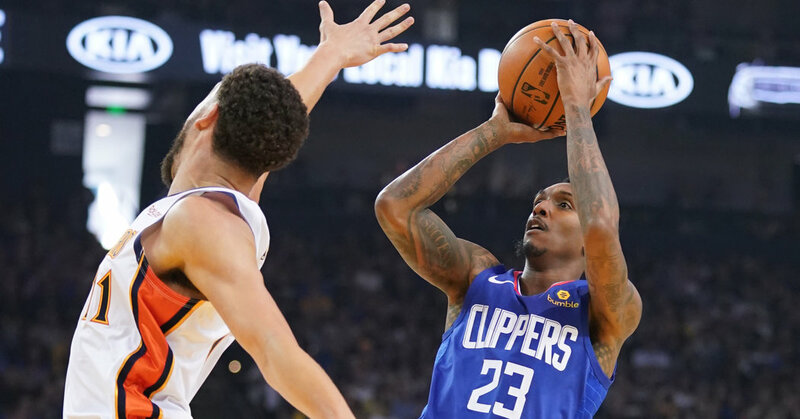 The Clippers, as they often have this season, turned to Williams on Monday night for an extraordinary performance — this time against the Golden State Warriors in Game 2 of their first-round playoff series. The Clippers, who have thrived behind Williams in the wake of a midseason deal that sent Tobias Harris to the Philadelphia 76ers, will need all him again — all his scoring, all his savvy, all his unusual rituals — when the Warriors come to Los Angeles for Game 3 on Thursday. The Warriors’ Klay Thompson recently came across a package of highlight clips from Williams’s days as a star guard at South Gwinnett High School outside of Atlanta. At the same time, Williams has his quirky customs, which help give him a sense of stability, starting with his game-day breakfast: hash browns, egg whites, French toast and chicken sausage along with a fruit smoothie that he sweetens with honey. Before a recent home game ahead of the playoffs, Williams made nearly 80 percent of his attempts, including two skyscraping moonshots from the baseline, which is a shot that he has developed in case a 7-footer lunges at him with his arms extended. Williams wraps up his on-court work by sinking 20 free throws and running 10 court-width sprints, then retreats to the locker room to put on his ankle braces and check his phone.